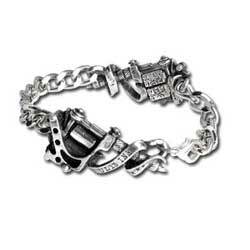 Men's Black Leather Bracelet with Steel Ball Sides and clasp. 8 inch long and 3/4 inch wide. 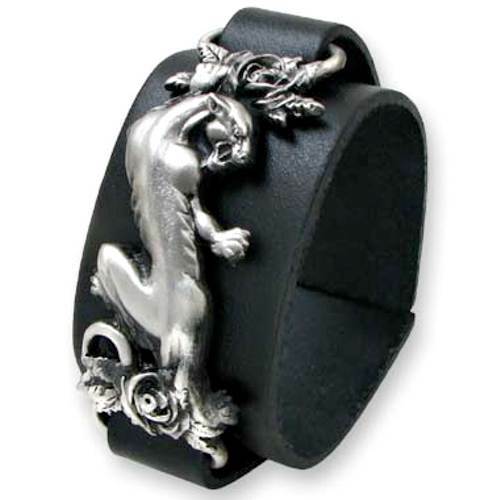 Classic 'Old School' tattoo panther & roses, beautifully 3D modelled on quality Black Leather wrist strap. 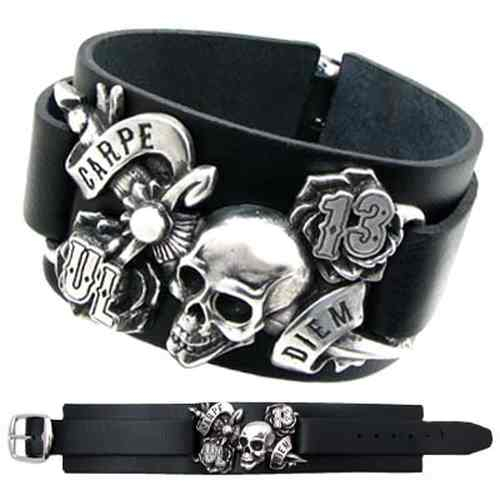 A stylish leather wristband with a sculpted skull and sword wrapped in a scroll engraved with the saying "Carpe Diem", a design by Alchemy UL13. Beautifully articulated, working, classic style cut-throat razor. 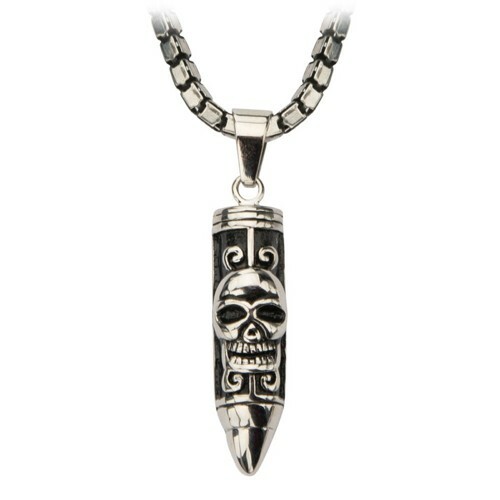 With etched & polished blade and Tribal decorated sheath. 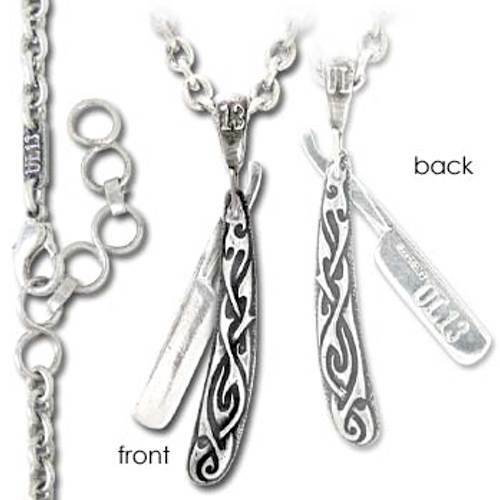 On antique silver tone chain. 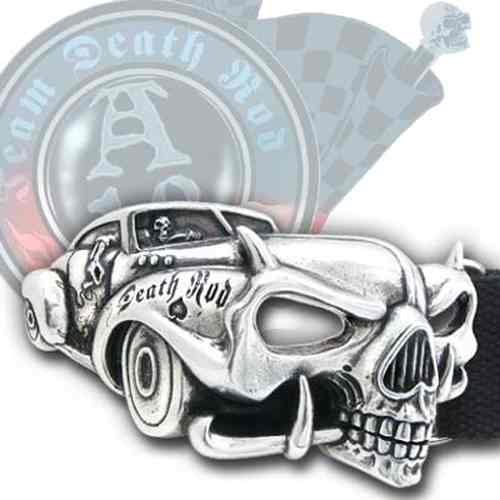 A design by UL13 Alchemy, the Death Rod is one of the coolest belt buckles around. Buckle fits 1.5inch (4cm) wide belts. 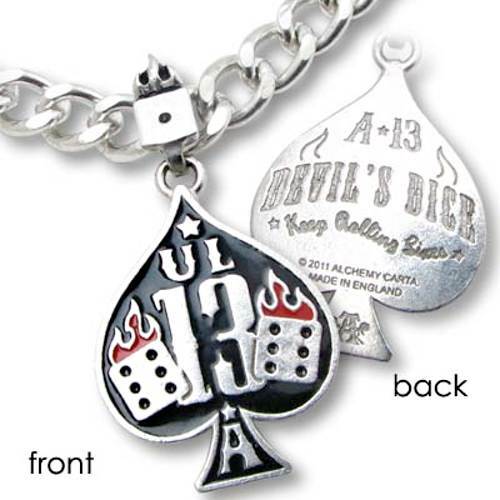 Two flaming dice on an enamelled pewter lucky ace of spades. 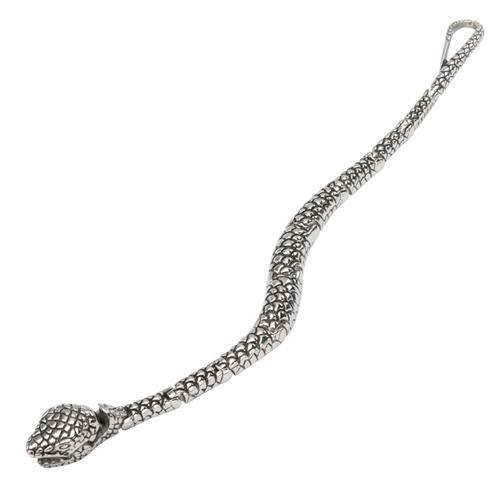 On a thick cuban chain choker. 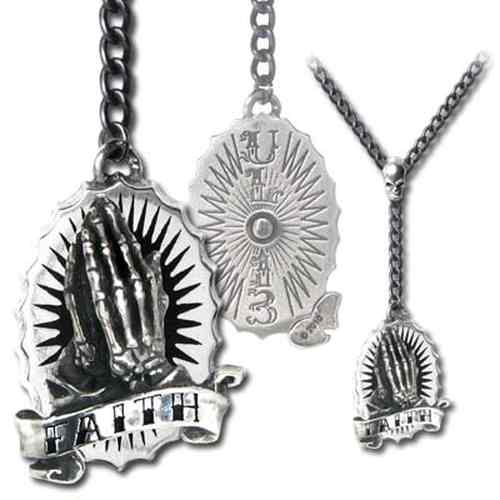 Rosary style neck chain, with sculpted skeletal praying hands & black enamelled 'starburst'. Modelled scroll has enamelled "FAITH" lettering. On 'black' finish chain. 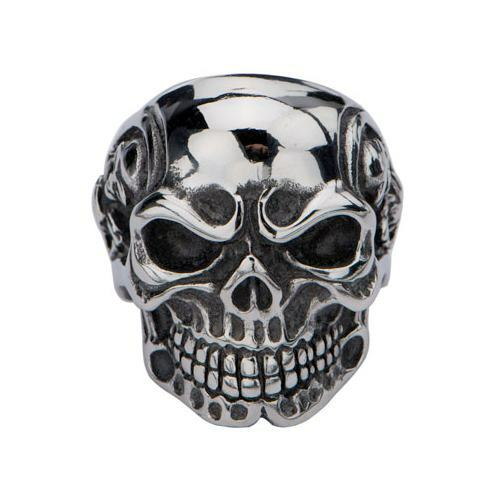 Men Stainless Steel Polish Finished Skull Ring with Knit Eyebrow. Listen to the whispering mind of the angel. Alistair Crowley's incorporeal intelligence and dictator of his transcribed and ultra-complex, sacred text, 'The Book of the Law'. 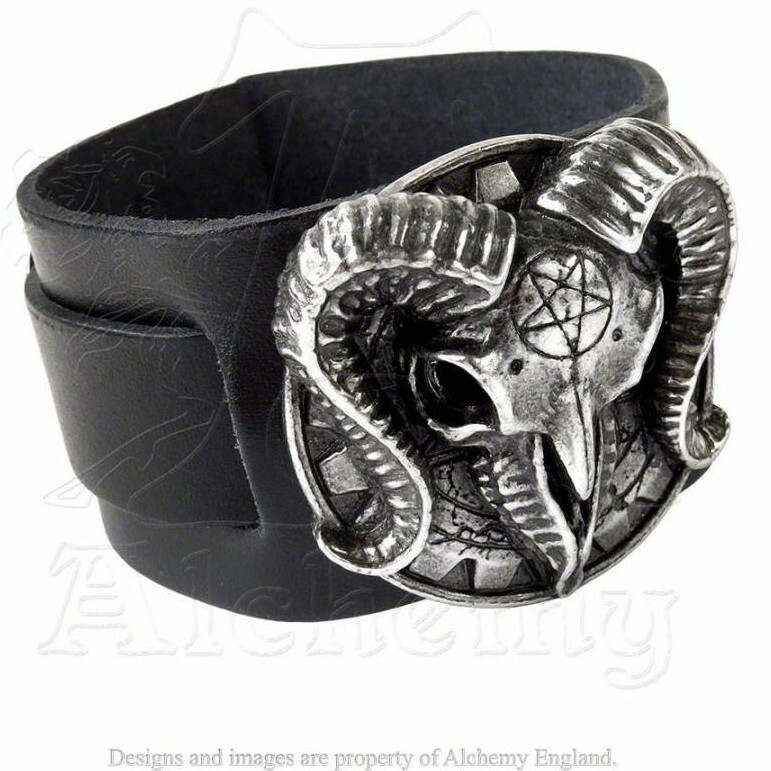 Wide black leather wrist strap bearing large pewter ram's skull motif, with buckle fastening. 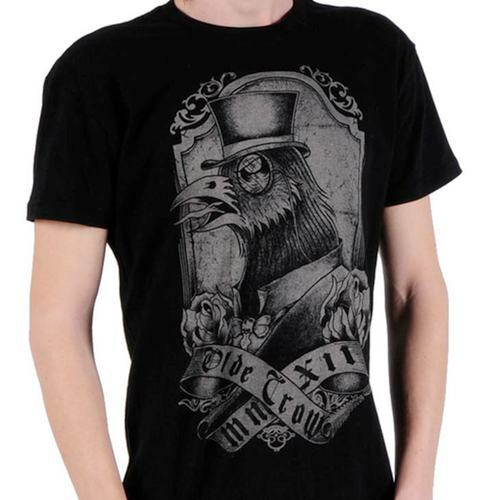 Welcome to the year of the Old Crow! He's been waiting thousands of years in the underworld, and now he's back on earth to wreak havoc! If you're lucky, he might just hire you as one of his minions. Slim fit, lightweight guy's tee. 60% Cotton, 40% Polyester. Machine wash cold, tumble dry low. 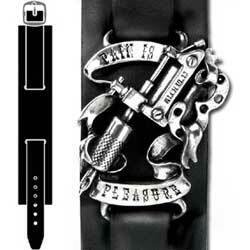 Italian leather wriststrap with intricately sculpted tattoo machine and etched scrolls. 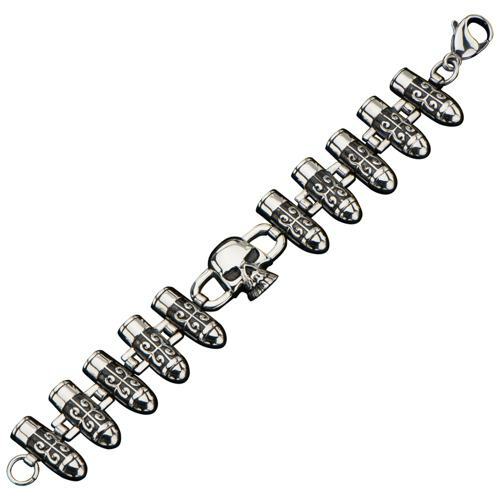 Stainless Steel Black Oxidized Link Bullets Bracelet with One Skull at the center. 8 1/2 inch long. 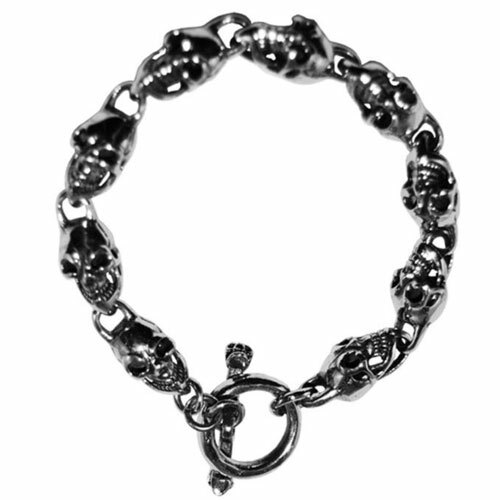 A spring clasp snake bracelet in stainless steel with a black oxidised finish. Measures 8 inches. 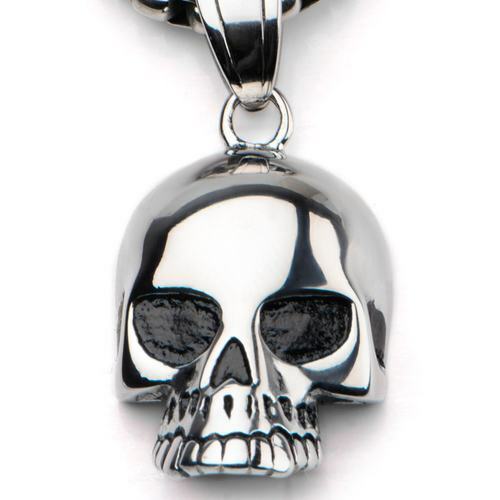 Men's Stainless Steel Black Eye Open Jaw Skull Pendant on a 20 inch white round wheat Chain, 4mm. thick. Fully 3-dimensional 2-tone tattoo machine. With engraved copper-plated scroll. 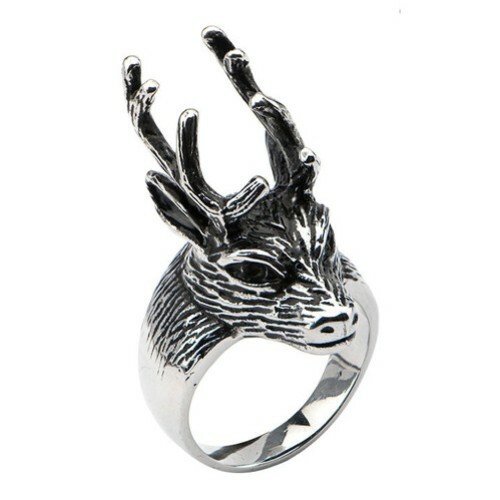 On antique Silver chain. 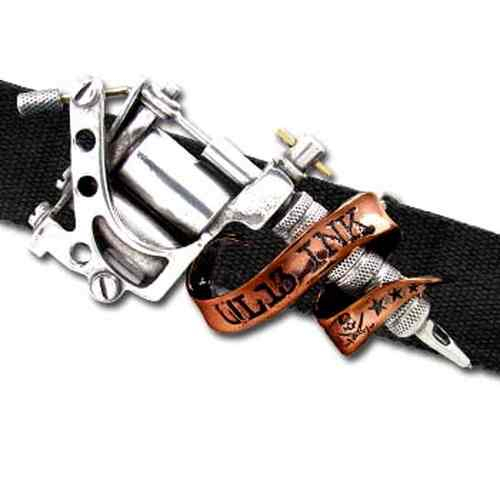 Authentic, almost life-sized, totally 3-D engineered and sculpted tattoo machine buckle, with engraved copper-plate scroll and brass rod components. The reverse of the tattoo machine has been 'tattooed', in traditional style. Buckle fits 1.5inch (4cm) wide belts. 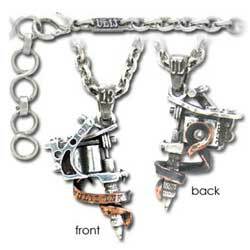 Solid, 3-dimensional, twin tattoo machines bracelet on heavy link chain. With engraved UL13 INK scrolls.